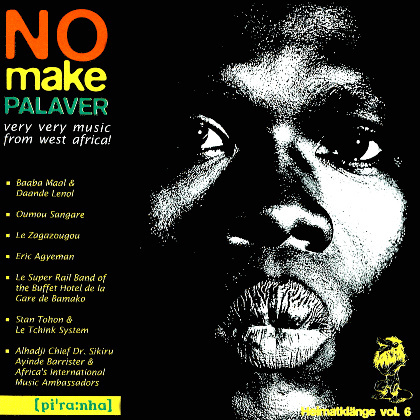 Berlin´s Summer Festival 'Heimatklänge 1993 - NO make palaver' showed the way to the Western African sources of anglo-american popular music within the area of conflict between culture and new political dynamic. Heimatklänge Vol.5 feat. Artists: Le Zagazougou, Oumou Sangare, Eric Agyeman, Alhadji Chif Dr. Sikiru Ayinde Barrister feat. Africa´s International Music Ambassadors, Le Super Rail Band of the Buffet Hotel de la Gare de Bamako, Baaba Maal feat. Daande Lenol, Stan Tohon feat. Le Tchink System.